Control is an essential element in the industries which operate within the surveillance for, and extraction of fossil fuels. As technologies advance, we are offered an increasing armory in ways to solve engineering problems and create more accurate and efficient processes at the same time. But with more extreme demands being placed on equipment in the gas and oil industries and an increasing need for durability and reliability, support equipment in these industrial control systems becomes more pivotal to ensuring the smooth-running of these procedures. Most industrial control systems in the gas and oil sectors employ a series of remote terminal units (RTU’s) in key areas throughout their infrastructure, to collect and interpret the raw data feeds from sensors and metering equipment. These RTU’s are specific to both the area of the network they monitor and the primary function with which they’re purposed, meaning that data from a wide range of equipment can be processed and communicated to a centralized system. This provides engineers with a holistic profile of real-time operations within the system and also account for the volume of fluid mass which is passing through the system, an important action itself due to the accuracy demand by industry protocols for safety and financial reasons. One aspect of this process, which is not commonly acknowledged is the role of the signal controllers. These devices are fundamental in ensuring the monitoring systems perform as efficiently and reliably as technology allows, without causing any adverse effect on the information that passes through them. With flow control precision of the utmost importance, it is often taken for granted that flow controllers can be frequently required to assimilate a wide range of information, not just in quantity but also in the format of the data streams themselves. To produce information of optimal accuracy in any situation, the process always begins with the highest possible precision in gathering data at its source. In the hydrocarbon production industries, this often results in the need to use bespoke equipment. This is engineered with the sole focus of its primary function and using intentionally simplified designs, which reduce the number of parts that can malfunction and cause operational problems or failures. As such, the information produced by these various types of detection equipment often needs to be converted into a usable format as it is transmitted to the flow computer. This allows for efficient interaction and likewise, signal controllers are often required to provide an interface from the flow controllers back to sensors and valves, to apply required controls onto the systems they govern. Signal converters, therefore, have a very specific task within the larger control systems. However, this role features multiple functions depending upon the types of devices that they’re used to connect. With the rise of intelligent instrumentation in recent years due to advances in technology, there is a question as to why these separate components are used when an all-in-one package could be used in their place. A main advantage of using these independent components is for the simplicity that their design provides. One of the biggest problems in monitoring and controlling petrochemical networks can be the extreme environments in which they’re required to perform. These conditions can create intense levels of stress on the equipment, such as with subsea control systems that need to function at the foot of operations in deepwater and ultra-deepwater hydrocarbon production sites. By using simpler, basic components to work in these climates, the overall design becomes much more robust. This is of huge importance when you consider the difficulties faced with performing even the most routine of maintenance procedures in these environments. For a majority of control systems, there is no problem with regards to access or regular contact and so they can be powered using conventional methods of a single or often dual power supplies. Within critical work areas, these power supplies should incorporate both power surge and backup contingency features, to ensure a continuous and regulated flow of power is always available to them. For those RTU’s which are located in isolated or extreme environments, there’s an additional requirement for them to have the ability to work autonomously. Whilst some equipment do not require any external source of power and have the ability to operate on mechanical principles alone, others rely upon energy to drive their internal processes and so a solution is needed. It may be possible, although expensive, to run a specialized power cable into these environments that can then feed a cluster of equipment within the work area, but often a more modern solution can be applied. High energy, rechargeable batteries are now able to work for much longer periods of time than conventional design,s and also have the ability to withstand a range of temperatures, pressures and physical vibrations that certain working environments may place them under. Another factor that these batteries account for is in their prolonged cycling capabilities that add to their usable lifetime. With a self-monitoring diagnostic system inbuilt into them, it can be easy to keep a check on their state of health (SOH) but there is another solution which is beginning to enter the gas and oil producing industries. Although this technology is still in its infancy as far as large-scale use is concerned, it has been proven to offer significant benefits as a small scale energy source. It is hoped that with further research, it will soon be of greater use in a variety of different applications. 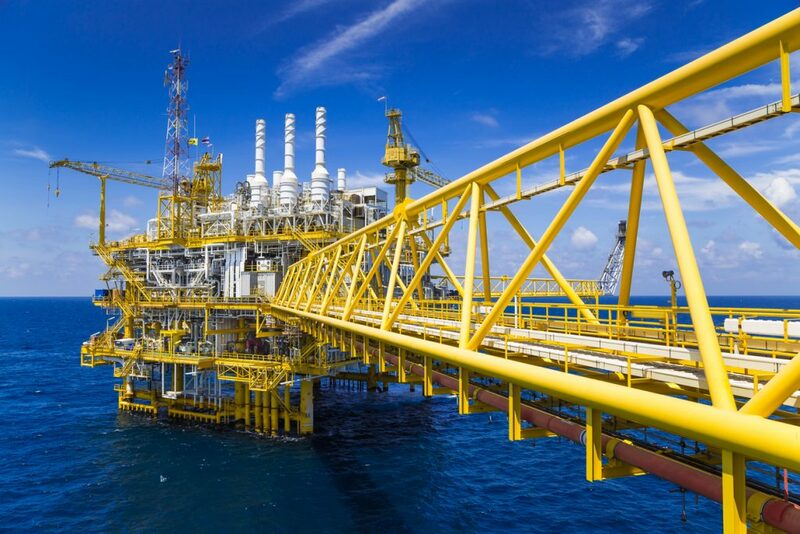 Whatever control system needs to be employed in the gas and oil industries, there is now a wealth of potential solutions currently available on the market to support and sustain an operation. It may not, however, always be preferable to seek the most modern solutions for problems that are faced, but instead reaching for a balance between simple and fundamental engineering techniques along with these new technologies.